The Fair Light Resort is one of jewels in the crown of Nainital which offer numerous facilities, warm hospitality and an unforgettable stay. It is an old British Bungalow located on an top of a hill leading to a spectacular view of the Naini Lake and the verdant mountains. 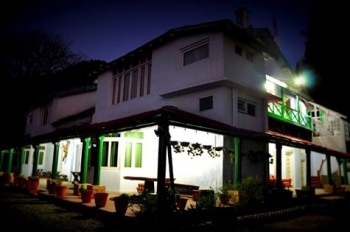 Other sister hotel of Nainital The Fair Light Resort is Hotel Sheela Nainital. 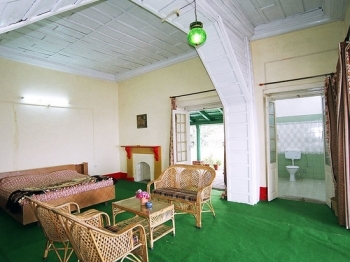 The old British bungalow is located at the top of Mallital at a distance of 5 kms from the lake. A number of tourist destinations Naina Devi, Hanuman Garhi, China Peak, Snow View Point, etc are at a walking distance from the hotel. The resort offers different types of accommodations to its guests : Presidential Deluxe, Executive Room, dormitories and Alpine Tents for groups/student. The rooms are enriched with attached bathroom, wooden furniture, carpet flooring and offer a captivating view of Naini Lake and a number of Himalayan peaks. The resort offer in room dining facility by delivering lip-smacking food. The highly experienced chefs will serve you delicious Indian, Chinese and Pahari (Local Cuisine) also. The tariff of rooms ranges from 3000 INR to 6000 INR. Contact resort for exact rooms and package tariff. The resort is at 5 kms from the lake and one has to take taxi to reach at the Bungalow. Nainital has best connectivity with metalled roads to all the parts of the country by roads. The capital city New Delhi is only at 300 kms away from Nainital. One can drive or take a bus from ISBT Anand Vihar which takes 6-7 hrs to reach Nainital. Kathdogam Railway Station is at 25 kms from the lake city and jeeps, taxis are easily available for Nainital. Newly opened Pantnagar airport is nearest airport to reach Nainital, situated at 60 kms.